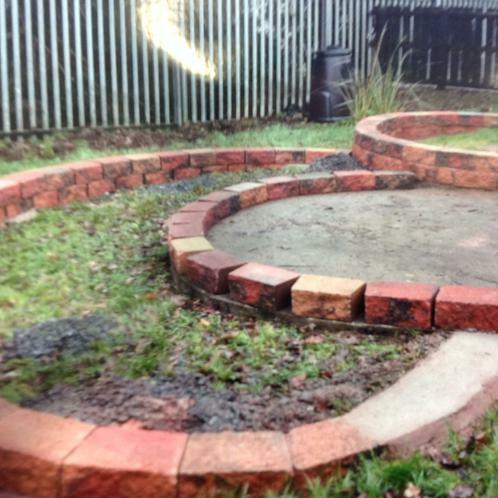 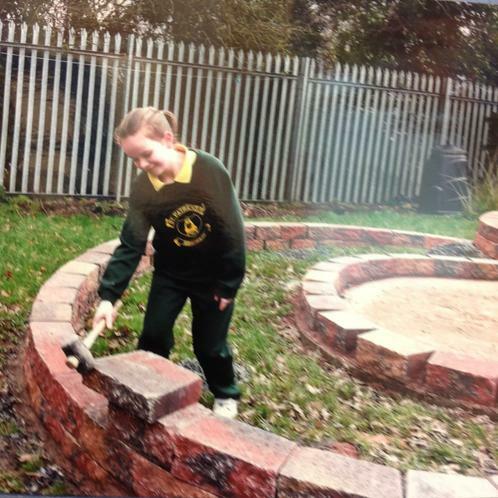 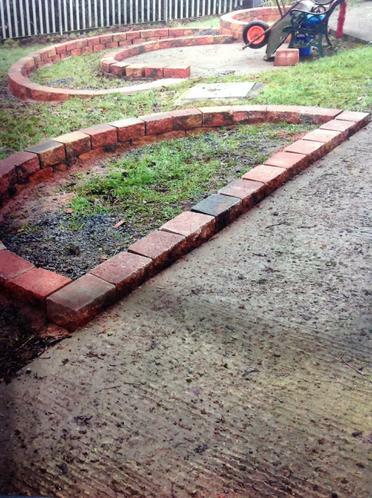 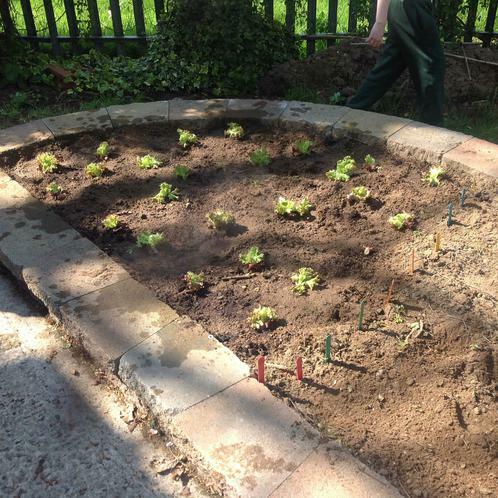 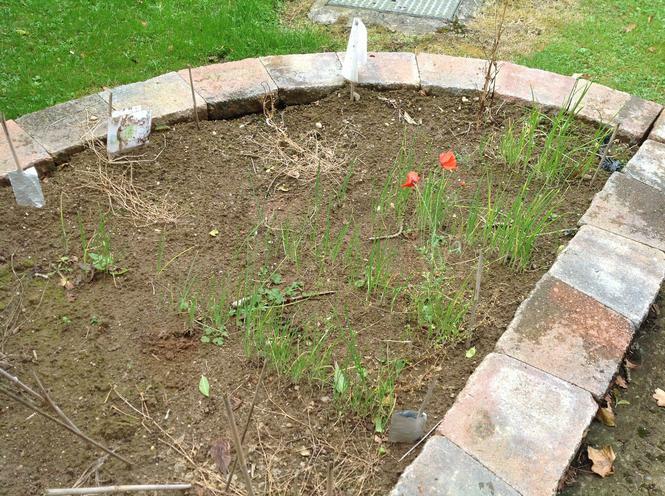 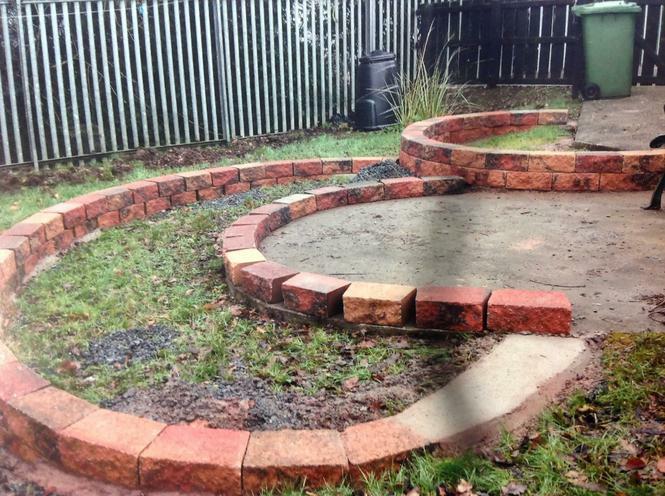 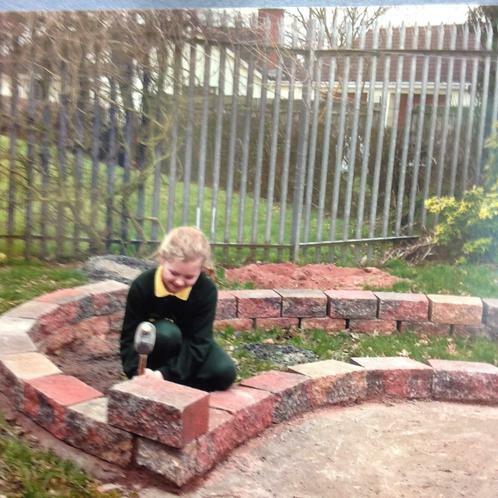 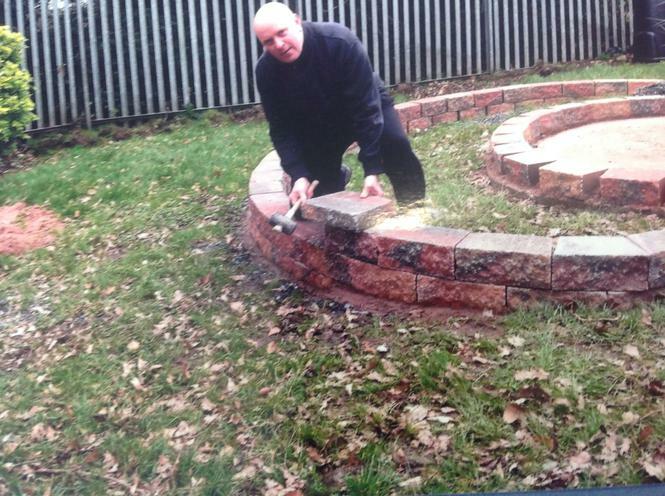 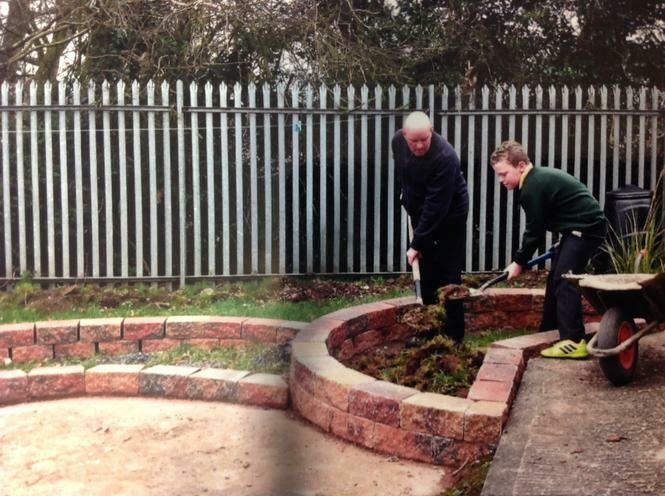 Our caretaker built the bricked surround raised beds in our Eco Garden. 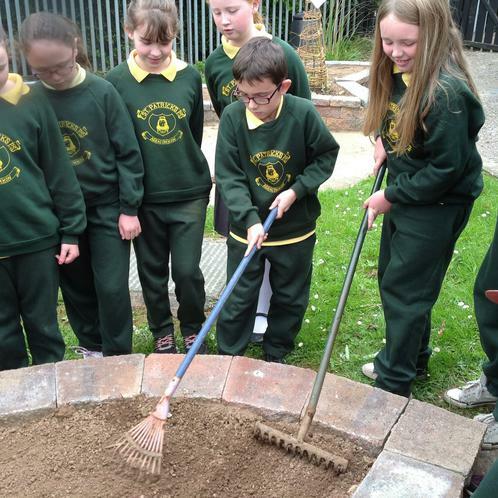 Some of the Eco Committee helped him lay the bricks and put the soil in. 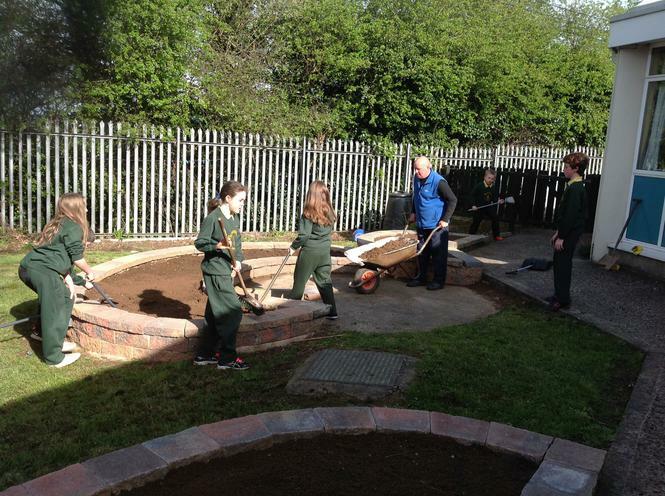 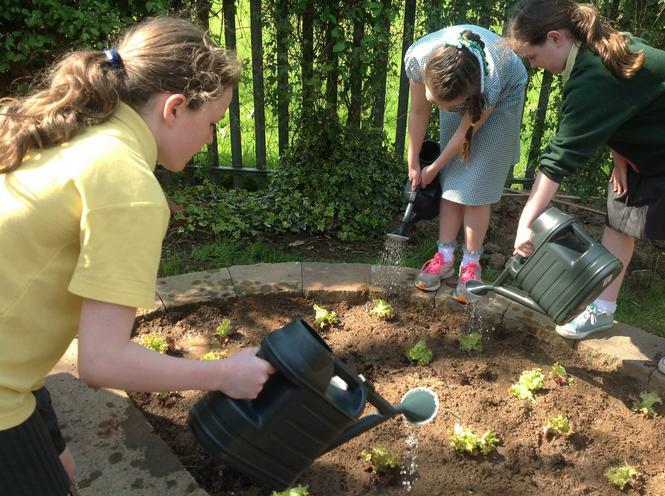 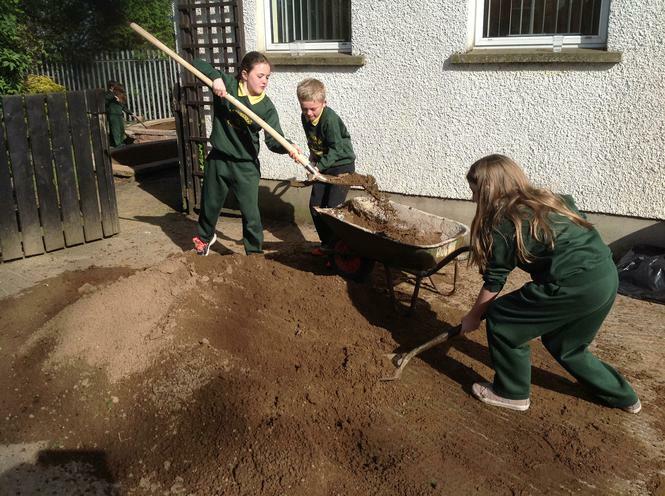 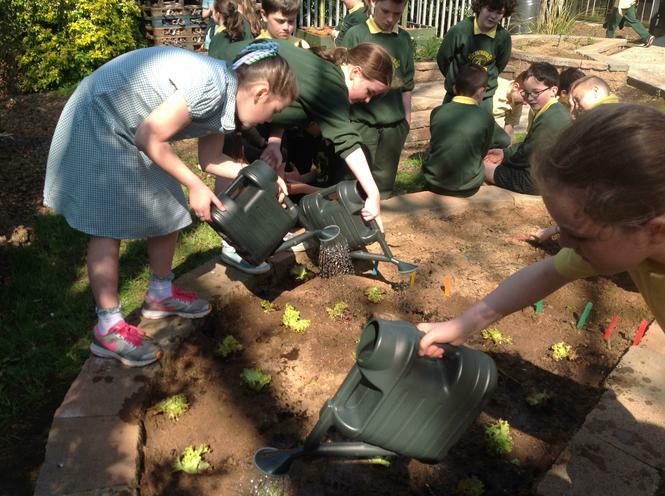 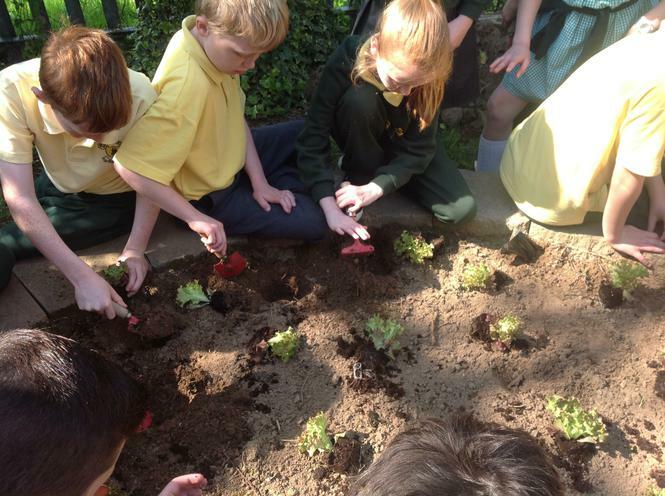 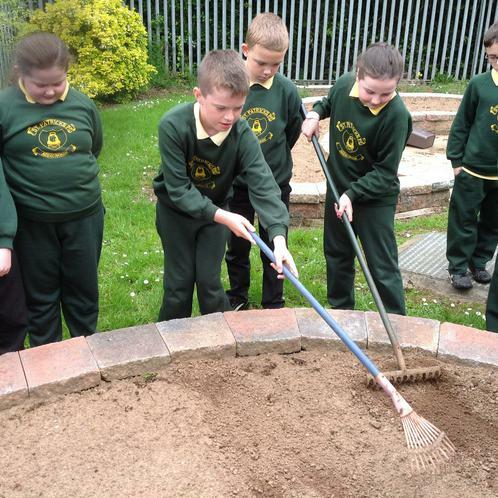 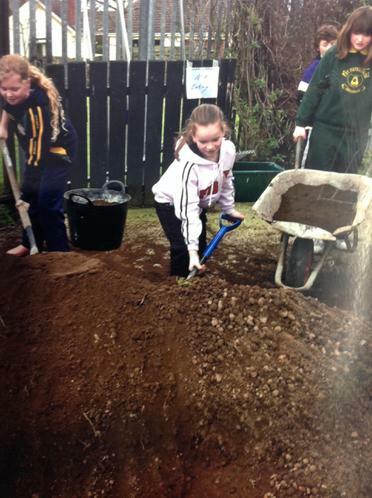 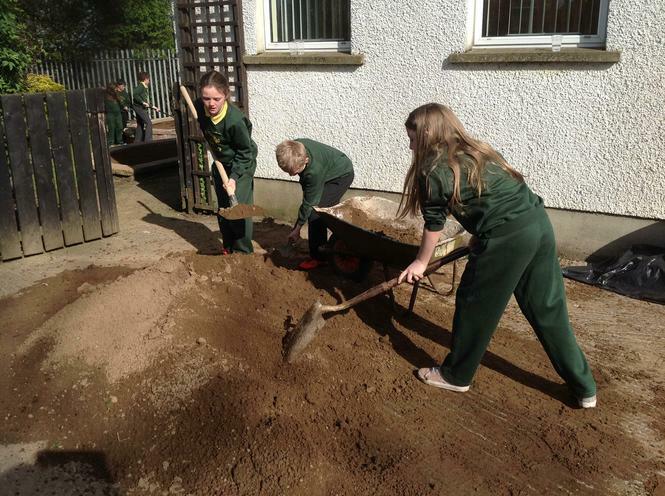 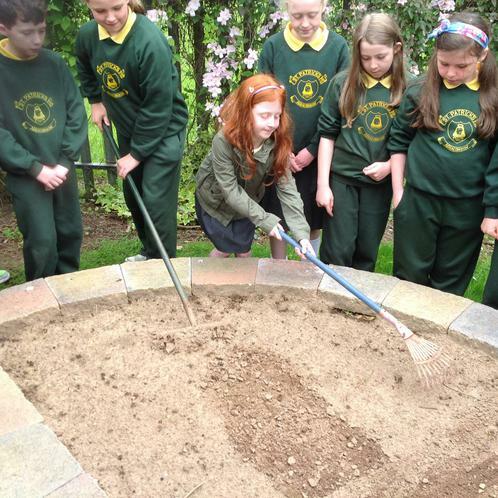 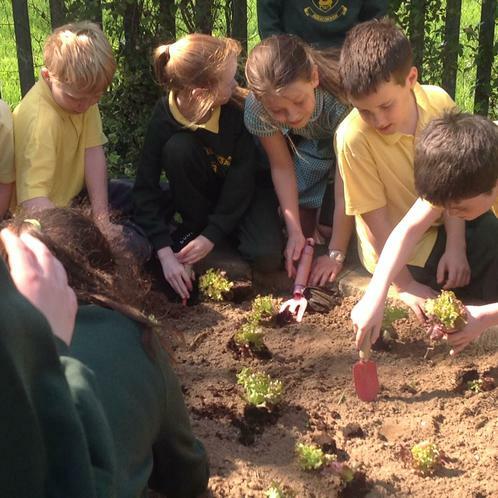 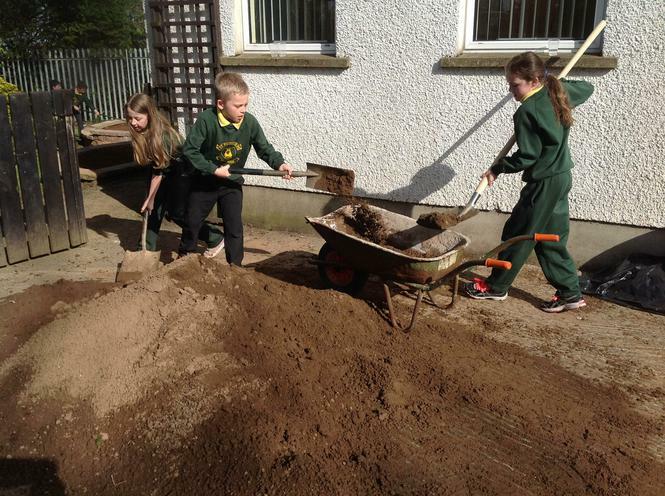 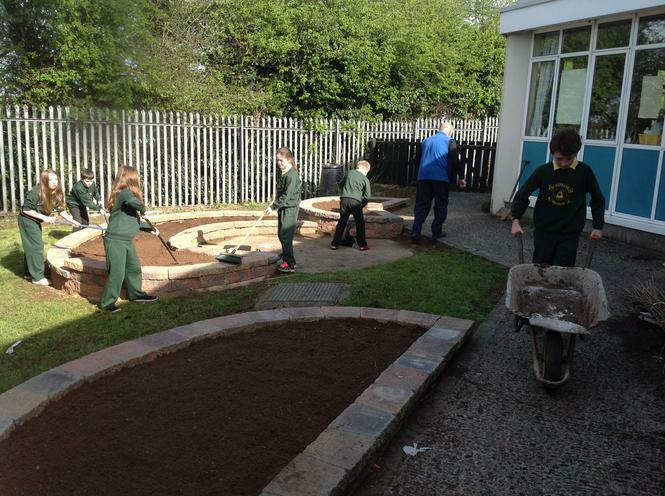 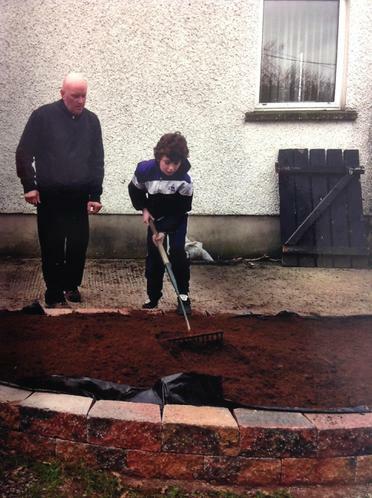 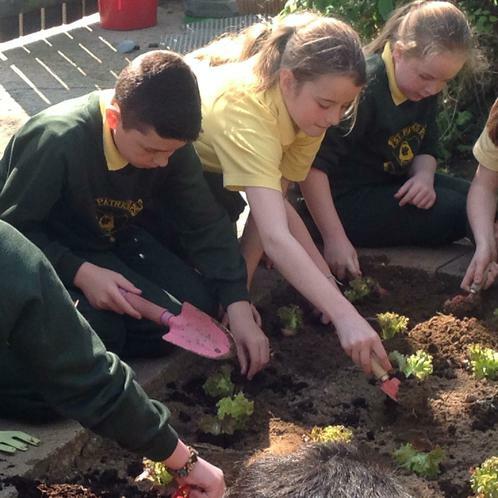 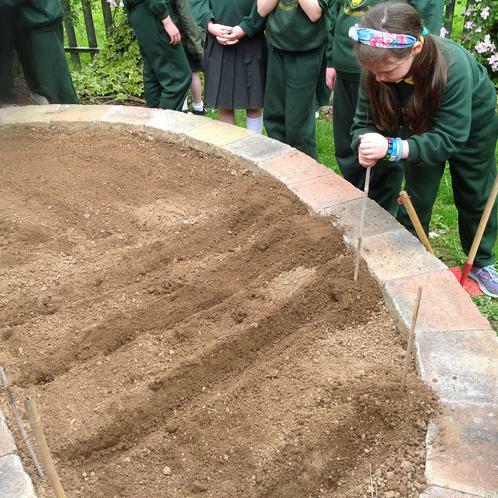 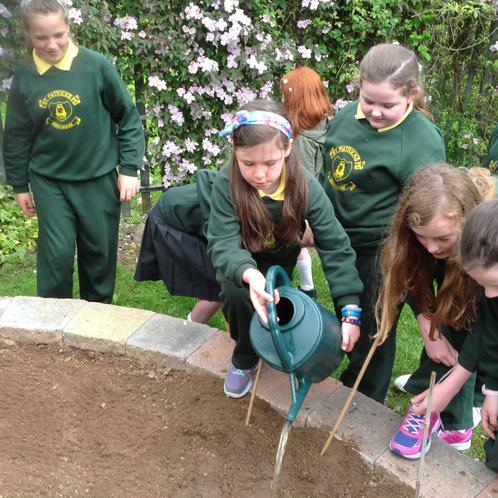 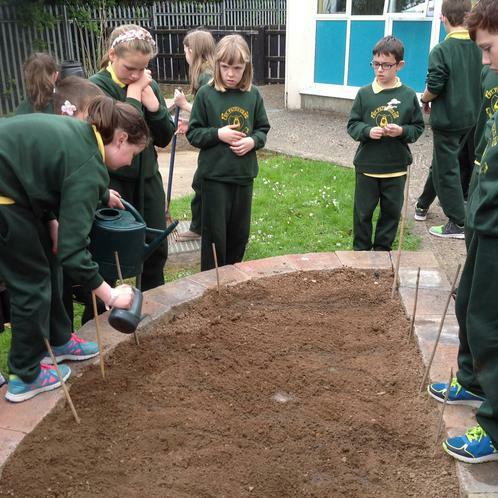 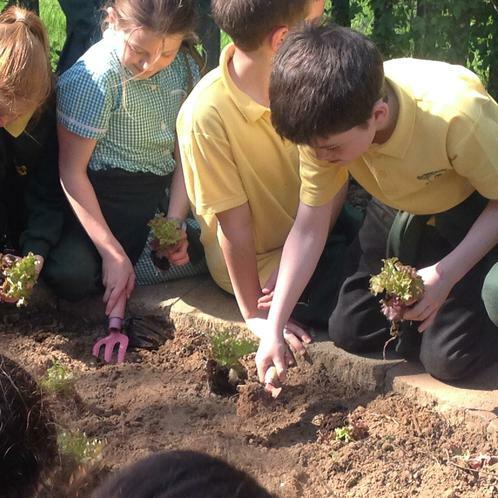 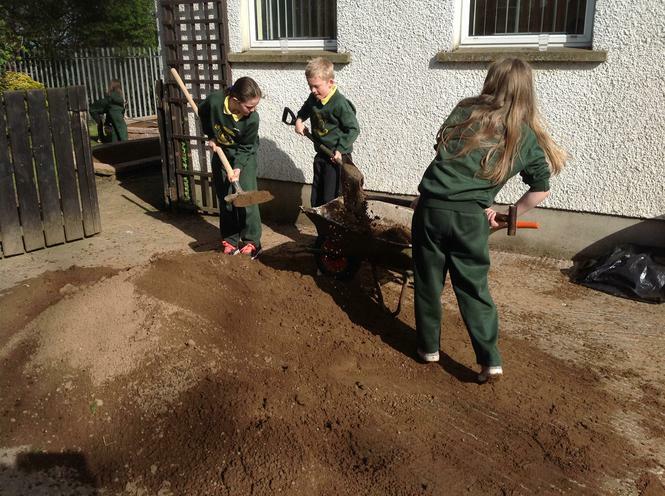 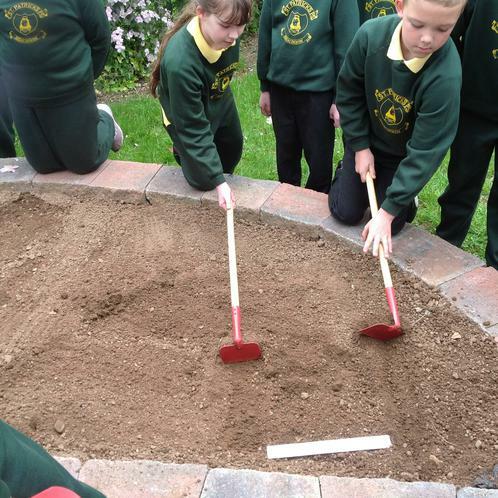 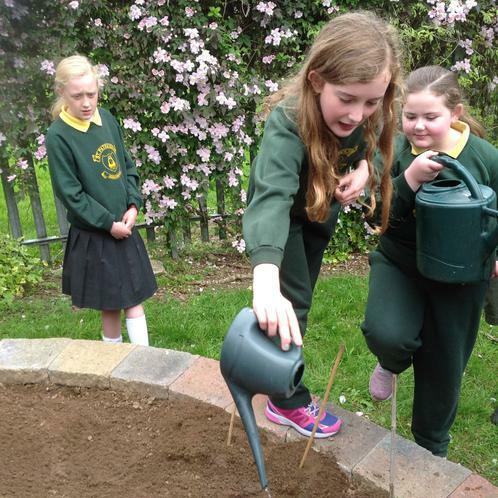 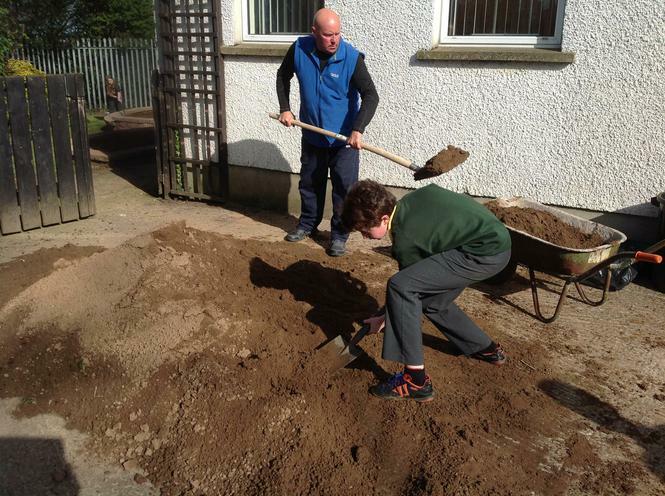 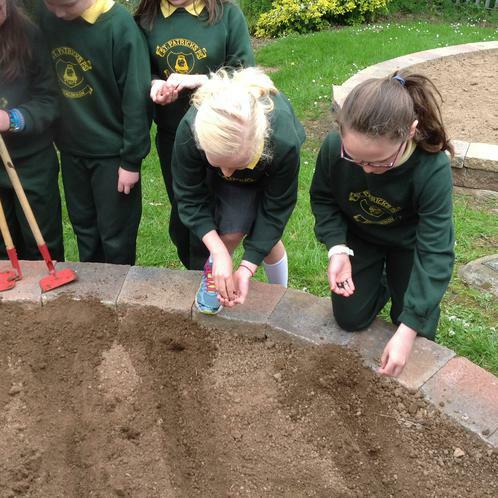 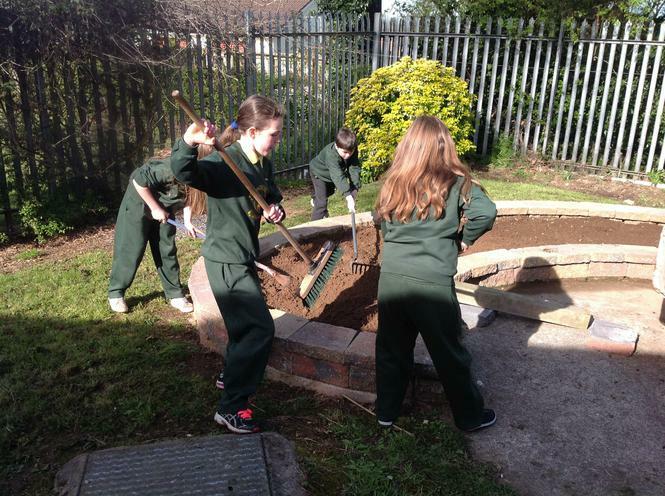 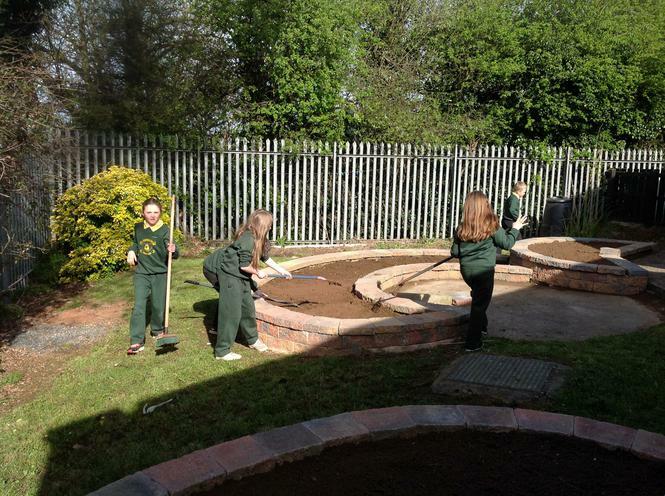 The Eco Committee helped Uli add more soil. 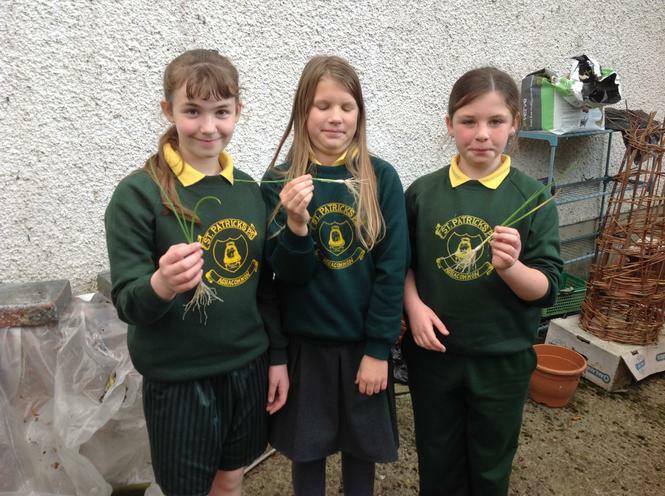 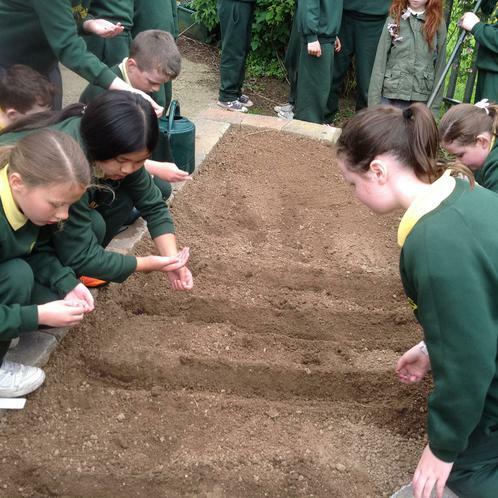 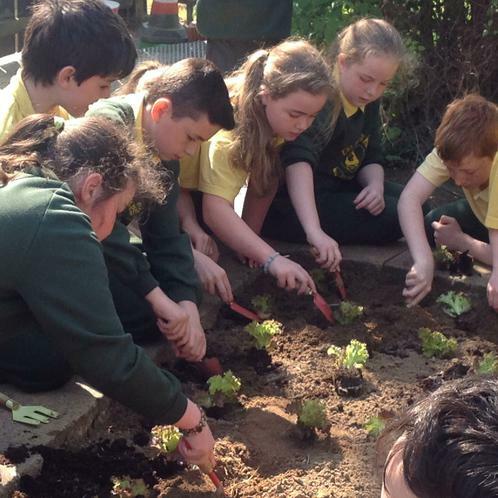 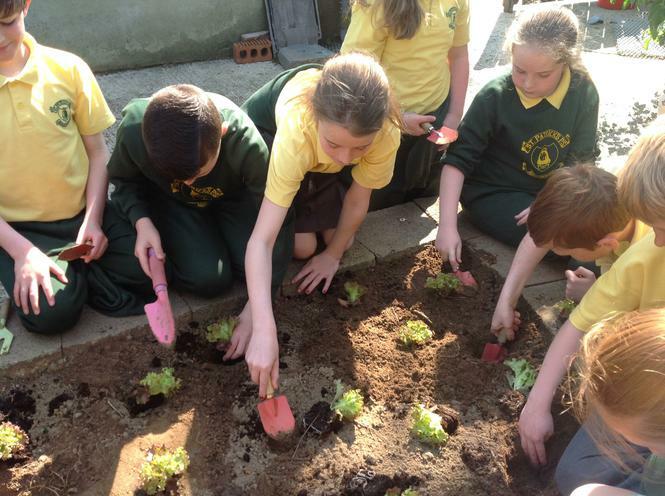 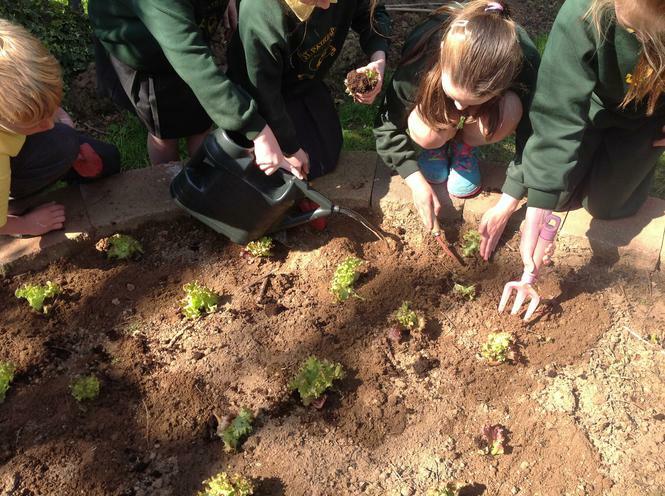 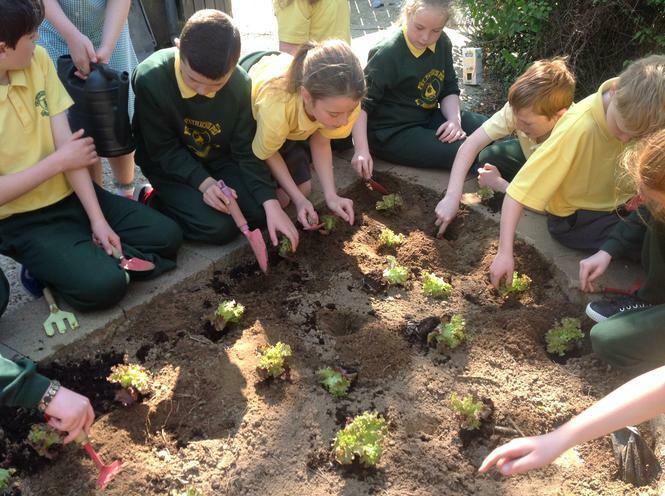 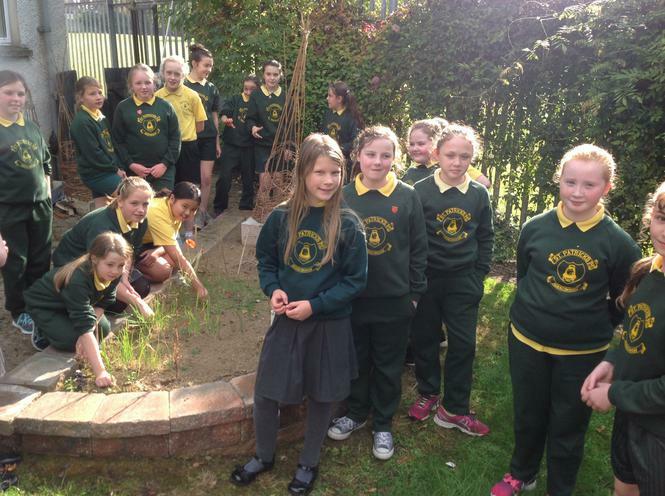 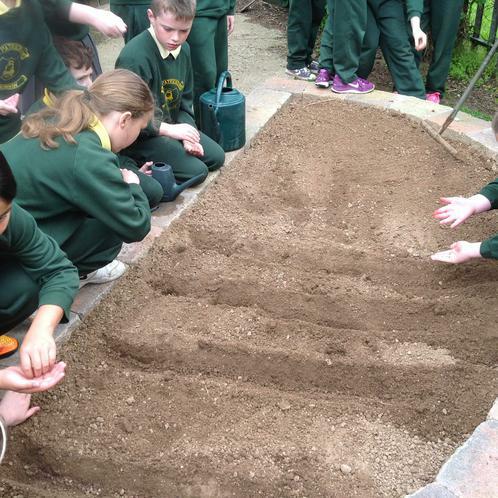 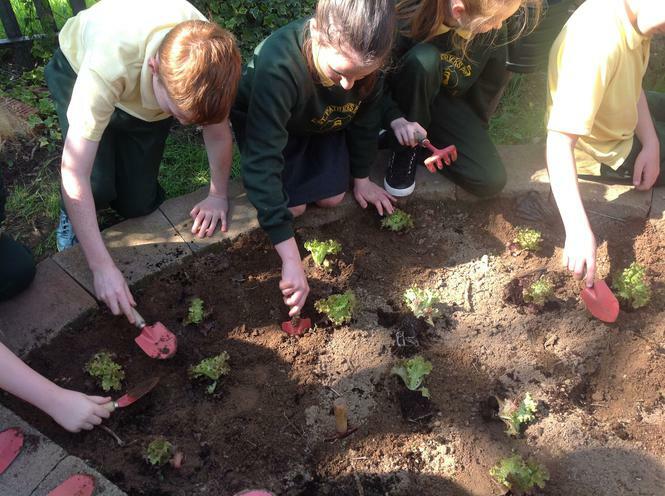 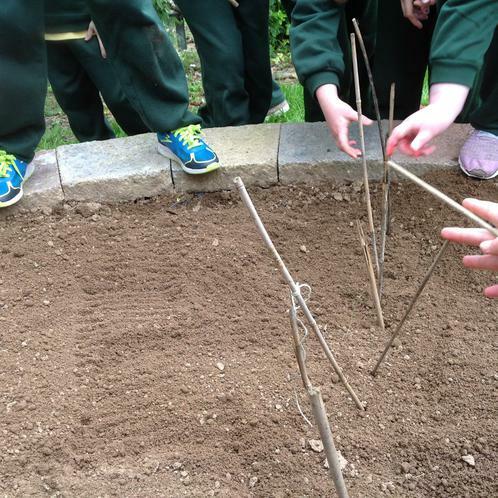 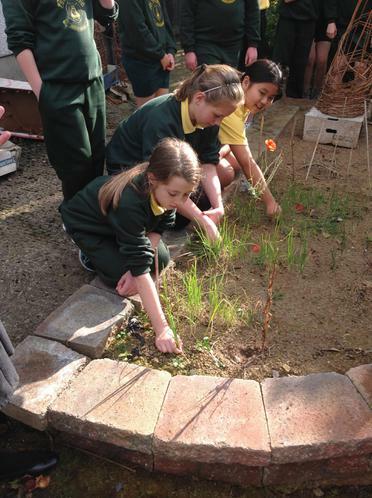 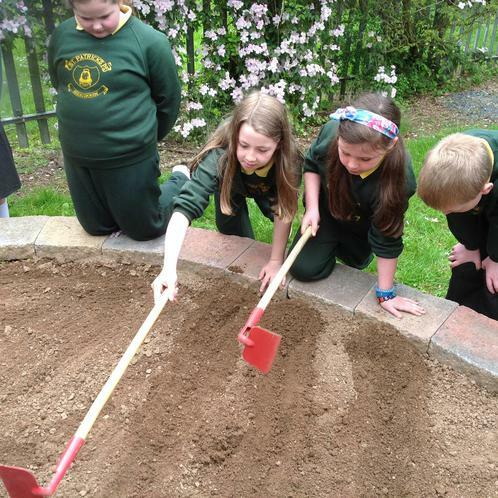 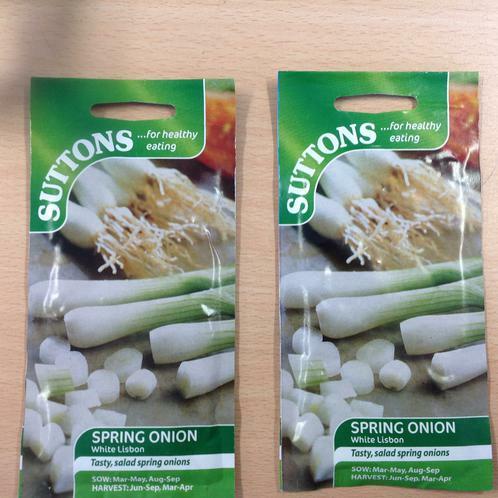 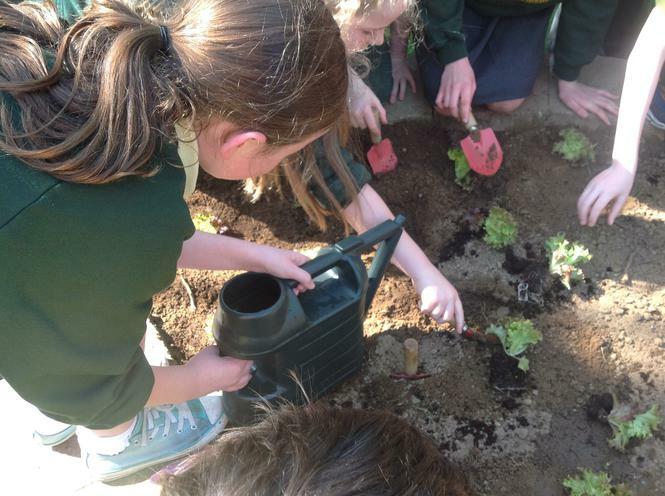 Primary 6 planting and then harvesting spring onions in 2015. 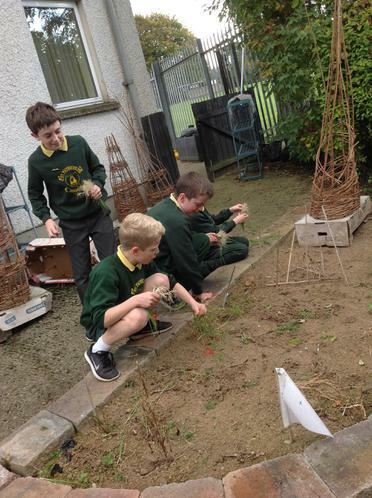 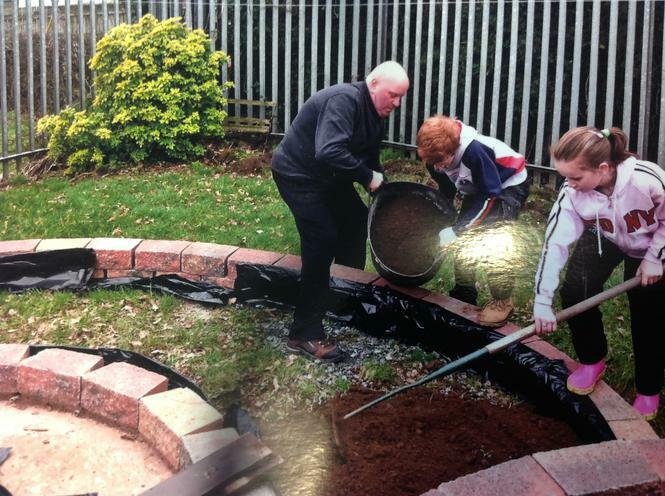 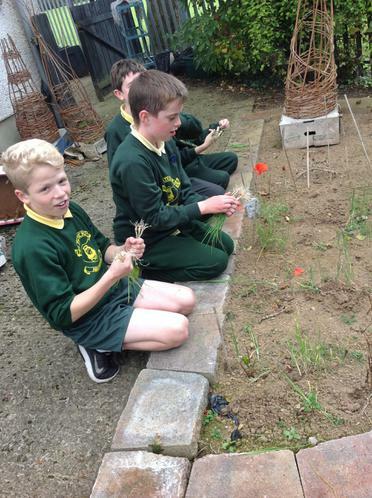 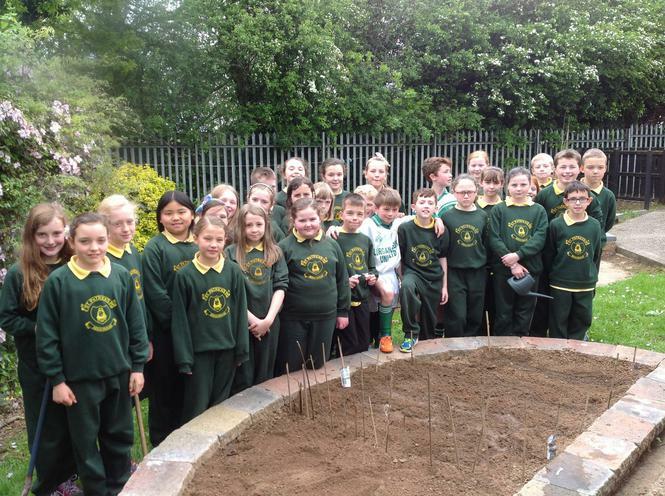 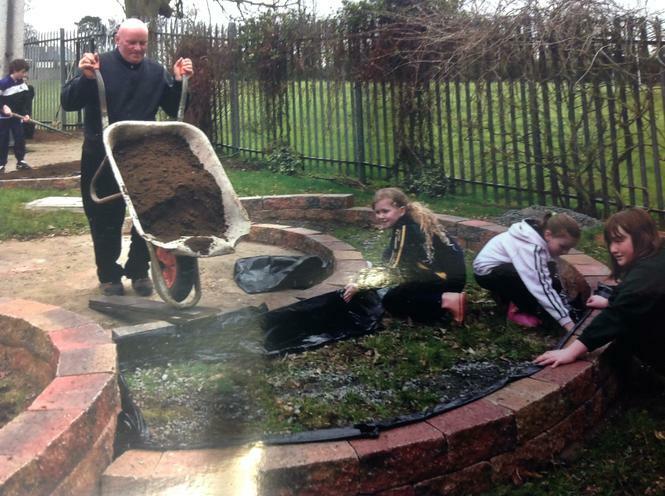 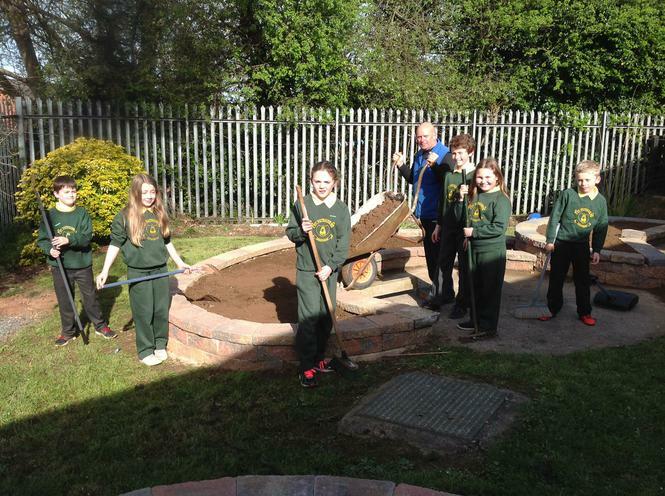 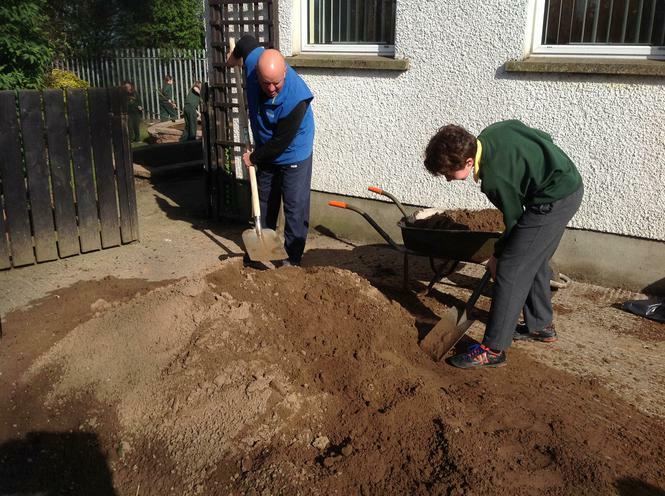 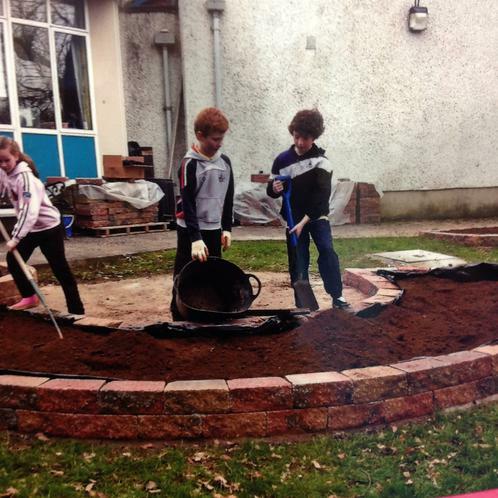 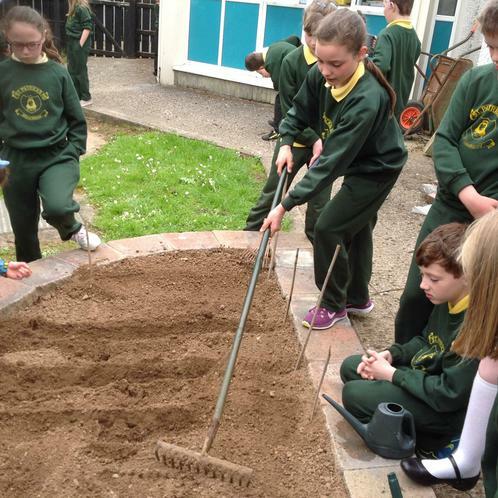 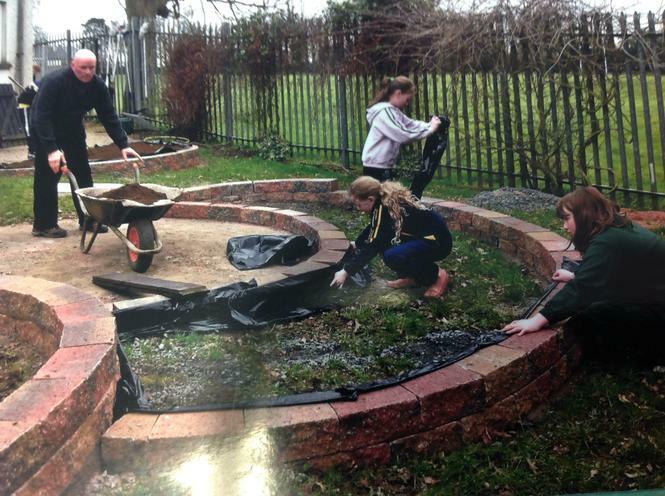 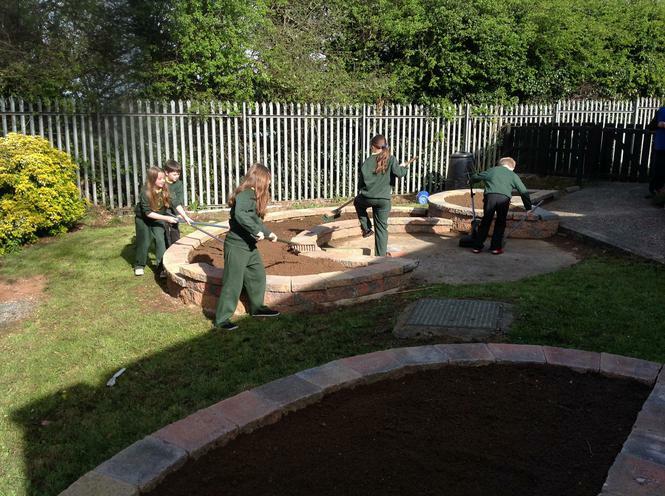 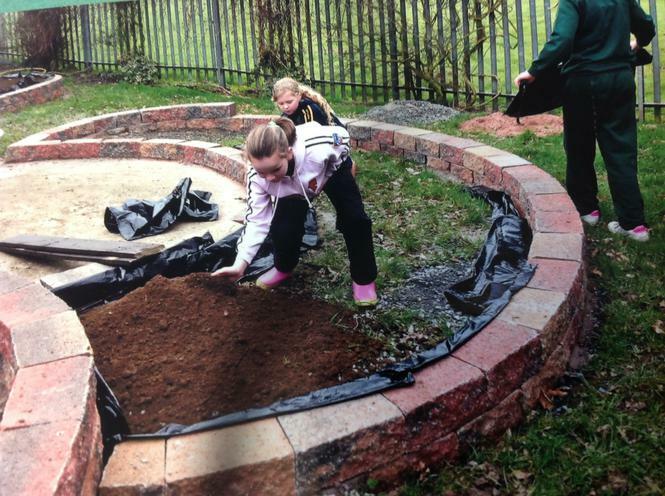 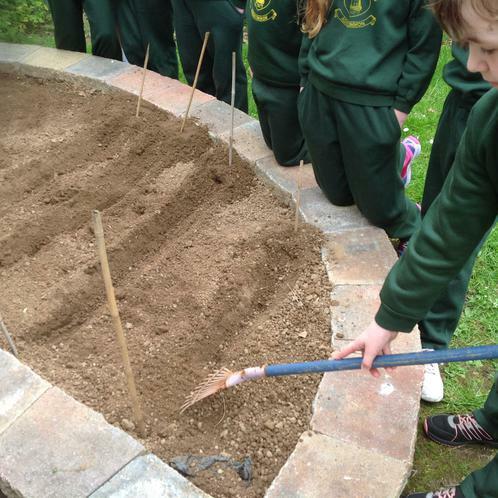 Eco Committee helping Uli to prepare eco garden in February 2016. 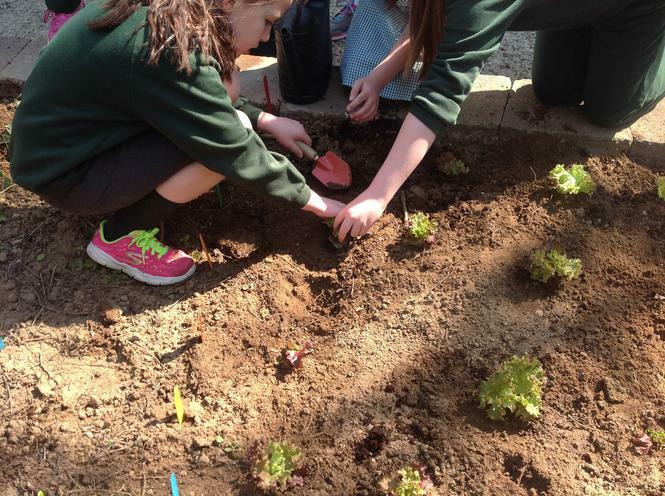 Primary 6 plant lettuce plants in eco garden in May 2016. 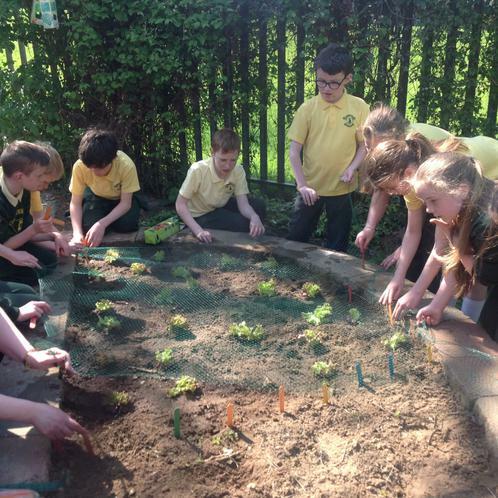 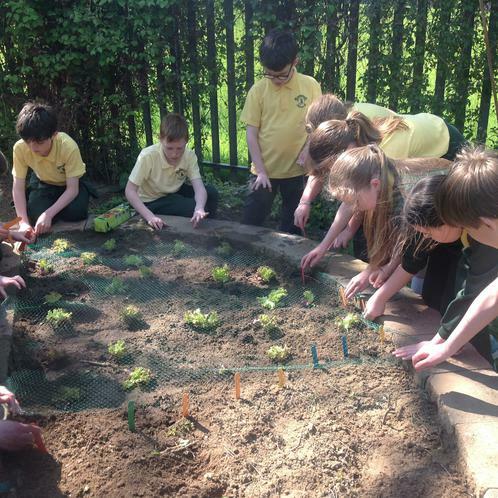 Primary 6 measure their lettuces each week, calculate how much they have grown and record the results on a bargraph, barline graph and trend graph.